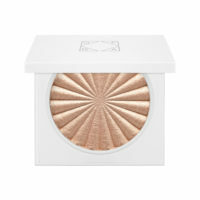 You will feel like you have found cloud nine with our Pillow Talk Highlighter. This glow maker is a soft pearl pink that is ideal for fair to light skin tones or can be used as an eyeshadow on deeper skin tones. 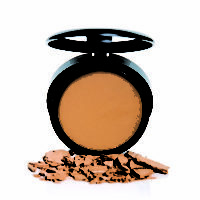 Pillow Talk can be used as a highlight for cheekbones, inner eye corners, and even across the decolletage and shoulders for the ultimate glowiness. 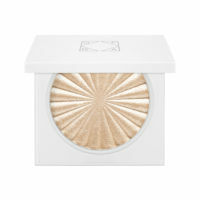 OFRA highlighters give glow a new meaning as the result of liquid-to-baked technology. What does this mean for your glow goals? The luminosity from the pearls in the formula provide an unparalleled pigment payoff and show stopping sheen. Looking for a flawless glow? Use the OFRA Highlighting Fan Brush #7 to lightly dip into any OFRA highlighter and apply to the areas of your face the sun naturally hits. INGREDIENTS: MICA, ZINC STEARATE, NYLON-12, ALUMINUM STARCH OCTENYLSUCCINATE, MAGNESIUM ALUMINUM SILICATE, SILICA, TRIMETHYLSILOXYSILICATE, DIMETHICONE, ETHYLENE/ ACRYLIC ACID COPOLYMER, PHENOXYETHANOL, TRIETHOXYCAPRYLYLSILANE, ETHYLHEXYLGLYCERIN. MAY CONTAIN: CI 77891, CI 77492,CI 77491, TITANIUM DIOXIDE, IRON OXIDES.